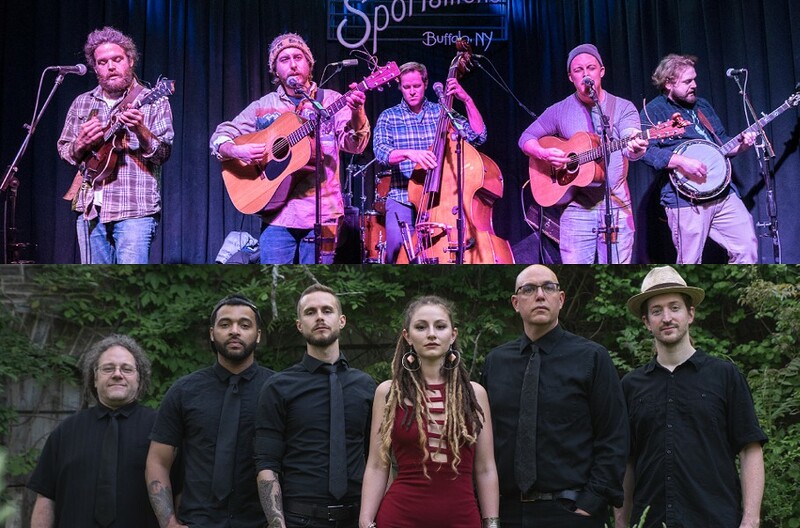 Canandaigua's raucous alt-bluegrass outfit Dirty Blanket (top) and the populist reggae band Root Shock from Syracuse (bottom) are among the artists to play the 2019 Finger Lakes GrassRoots Festival. The 2019 Finger Lakes GrassRoots Festival of Music & Dance is assembling a formidable lineup of bands familiar to GrassRoots audiences as well as groups that have, surprisingly, never played the festival before. Running from July 18 through 21, the festival boasts more than 60 different groups, performing in a wide swathe of musical styles. This year’s iteration of GrassRoots has its share of compelling headliners: folksy roots rockers Donna the Buffalo, the earthy blues band Taj Mahal Quartet, the proggy Americana group Railroad Earth, soulful rockers Hayley Jane & The Primates, and popular regional acts Giant Panda Guerilla Dub Squad and Driftwood. Perhaps most promising is the number of Western New York and the Finger Lakes area bands that will be making their GrassRoots premieres. Festival-goers can catch the raucous alt-bluegrass outfit Dirty Blanket from Canandaigua, and the punky, blues-infused roots music of Buffalo’s Folkfaces. The lineup also includes the populist reggae of the Finger Lakes’ Mosaic Foundation, and the newly formed roots-funk-folk band Swamp Kids from Rochester and Ithaca. Recognizable artists like The Campbell Brothers, Aaron Lipp & The Slack Tones, Root Shock, Ithaca Bottom Boys, and Tenzin Chopak will return to the festival. More information, including the complete lineup, is at grassrootsfest.org.